Amidst its reporting of the horrific terrorist attacks in Paris, The Telegraph published an essay on Saturday by Lord Dannatt, the former head of the British army. In ‘Drone attacks are a vital part of modern warfare’ Dannatt addresses those who feel, as he put it, “a nagging sense of unease” about the drone targeted killing of Mohammed Emwazi aka ‘Jihadi John’. 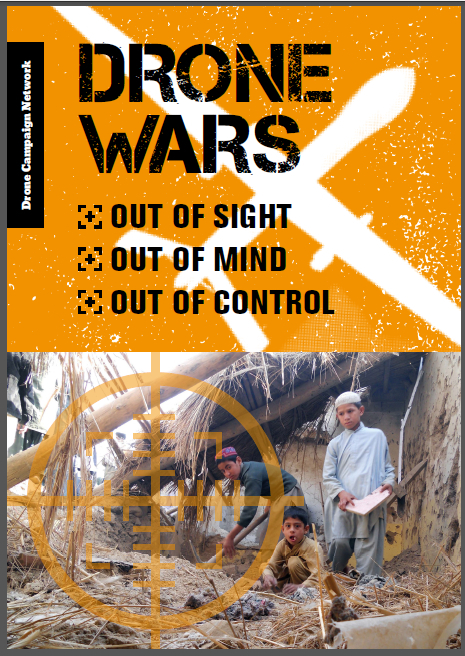 The essay, using the drone strike on Emwazi as an example, attempts to justify in a broad way the use of armed drones in general as well as their use for targeted killing beyond the battlefield. While some pro-drone ethicists argue that it is morally right to use drones to prevent putting our soldiers into harm’s way, others questions whether, contrary to the spirit of jus in bello discrimination, we are beginning to the value the lives of US and British personnel more highly than the lives of civilians in the vicinity of air strikes. In connection with this Dannatt goes on to argue that “some may think there is a random element to drone strikes. 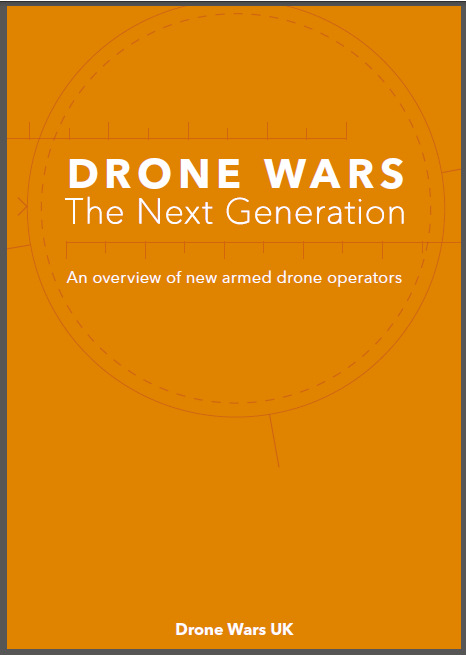 But that is far from the truth… little is left to chance.” However there is evidence that while drones are keeping our forces safer, we are transferring the risk on the shoulders of civilians. Although the actual data examined remains classified, US military analyst Larry Lewis found that drone strikes in Afghanistan in the 2010-2011 caused 10 times more civilian casualties than strikes by manned fighter aircraft. Human Rights group Reprieve have also detailed how US drone strikes in Yemen and Pakistan between November 2002 and November 2014 killed 1,147 unknown people in failed attempts to kill 41 named individuals. 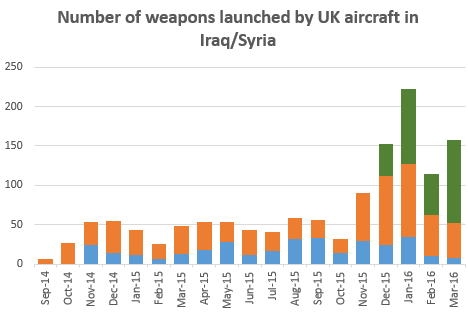 With regard to the use of drones for targeted killing outside of battlefield, Dannatt seems to have changed his mind since the British drone strike on Reyaad Khan in the summer (which at the time he thought not right without specific parliamentary authority). Choosing his words carefully he argues that “where international boundaries are not recognized by our opponents”, such strikes are “entirely legitimate” – although he clearly can’t quite bring himself to write ‘entirely legal’. However he is wrong on two counts. Firstly there is no parliamentary, or more importantly, UN authorisation for the British use of force in Syria and, as with the drone strike on Reyaad Khan in August, there appears to be no imminent danger requiring immediate use of force (The Times reported on Saturday that Khan had been injured in a previous drone strike and had just left hospital when he was killed). Dannatt argues that this is of no consequence due to Emwazi’s past actions but he is simply wrong on the law here. And as some of the family and friends of his victims have stated, it would have been far better for Emwazi to have been put on trial for his barbaric acts. Secondly the fact that “our opponents” ignore international boundaries and international law does not mean we are free to. Nor should we. While some may scorn, it is absolutely right that we uphold international legal norms even in the face of those “who have torn up the long-established rule book of armed conflict.” If we fail to do so they have simply won. None of these pieces properly engage with the serious arguments about drones. Questions about the way that drones appear to be lowering the threshold for use of lethal force (and the implications for global peace and security now that many countries are developing or acquiring such technology); the blowback from drone targeted killings, particularly the way such strikes are undermine long-term counter-terrorism work; the increased secrecy and ‘disassociation’ of the public from warfare; as well as the ‘risk-transfer’ arguments mentioned above all appear to fall on deaf ears. Maybe some drone defenders will actually want to engage with these arguments properly.